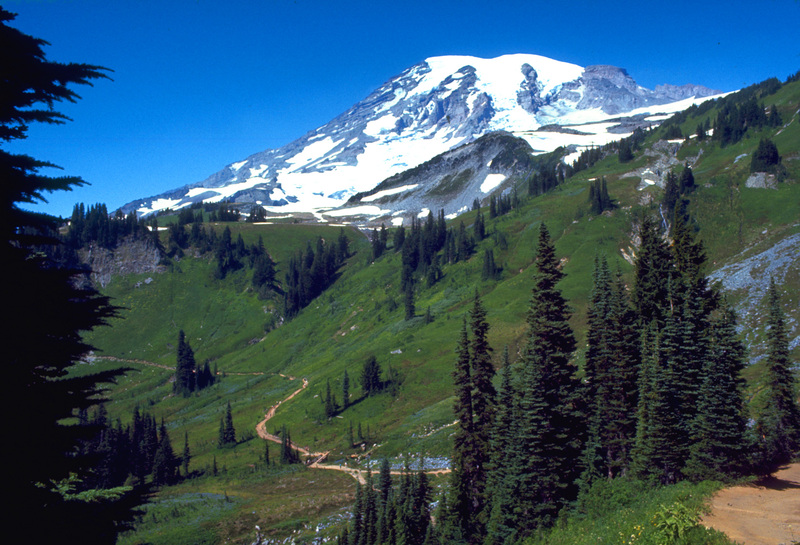 I knew something needed to change as I hiked one summer along the Pacific Crest Trail. I had looked forward to the seven-day backpack for several months. I had entertained frequent day dreams in which I visualized myself hiking across open alpine meadows, surrounded by the snow-laced peaks of the Cascades and swimming in cold sky-blue lakes. But as my fantasy became reality I notice something troubling. My mind had trouble staying on the trail. Instead I would discover that my thoughts were ruminating about some worry or concern back home in Minnesota. 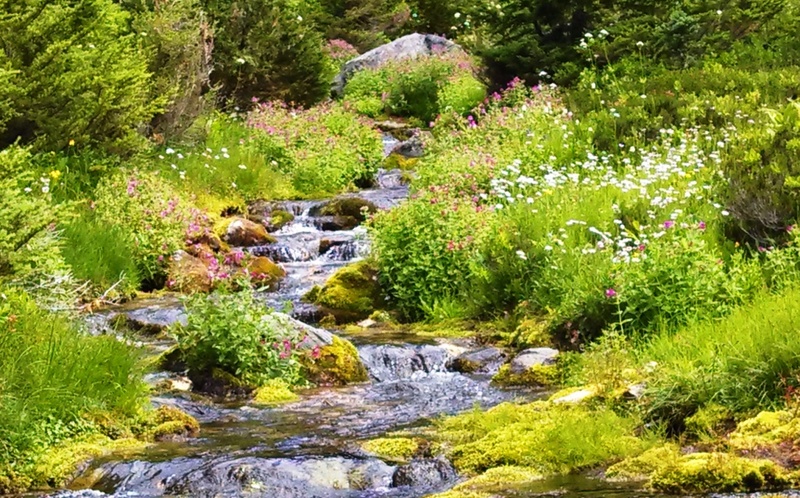 For a moment I might be able to enjoy a colorful alpine flower or a striking mountain peak, but all too quickly my mind jumped to some pestering concern at my church or my family. My intention was to be on the PCT in Washington; my mind seemed to be at dozens of other locations. And I wanted that to change. When I came back to Minnesota, I began to hear about “mindfulness” – the ability to be in the present moment. My health plan offered a simple six-week exercise that focused on mindful eating. I thought it would be easy to simply focus on my meal as I ate. I discovered that it was incredibly hard for me. My eyes continually looked for something to read; my ears sought the noise of the radio. 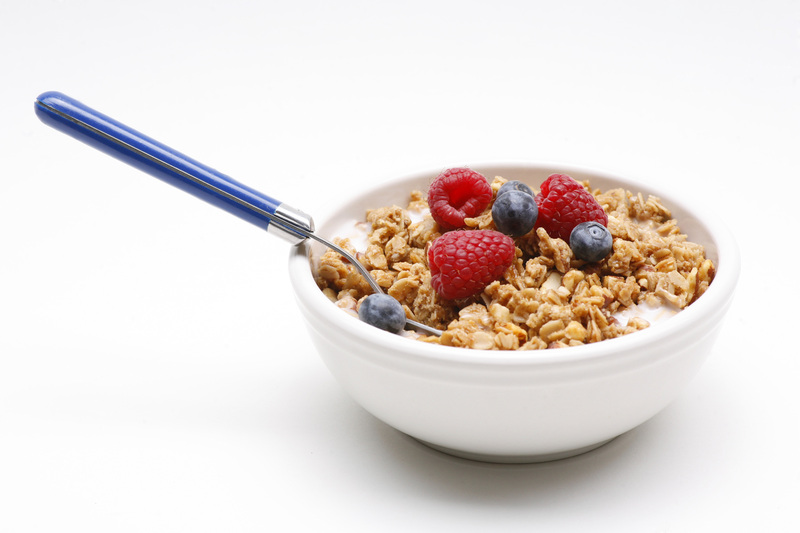 The challenge was to simply be present to my bowl of cereal, to see the color and texture of the granola, to taste each bite, and to give thanks to God for the meal. I began to read more about mindfulness and my emotional impulsiveness. 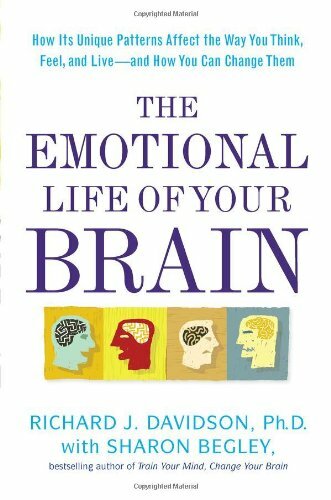 A key book was The Emotional Life of Your Brain by Richard J. Davidson. I remember reading about how our brains have plasticity, that they can be rewired or remolded with certain practice. The author discussed how people who have participated in Mindfulness Based Stress Reduction classes have been able to deal with their chaotic, impulsive mental thought patterns. After reading the book, I signed up for a MBSR class. “Courage to change the things I can” is the second part of the Serenity prayer. I once thought courage was reserved for the “big” things like racism or sexism. I admire Dr. Martin Luther King’s courage to challenge the racial injustice of his time. We need such models of courage in every age. Yet there is also the daily kind of courage to face our own flaws. Through the MBSR class I learned the practice of daily meditation. The practice has begun to calm my busy mind and to live in the present. I am thankful that God gave me the courage to change the ways I look at the world and to be fully alive in each moment. How do you stay living in the present moment? Lord Jesus, thank you for your promise to be always with us. This entry was posted in Body Mind Spirit, Prayer and tagged change, courage, meditation, Mindfulness, serenity prayer on January 30, 2015 by Pastor John Keller. Centering Prayer is saving my mind while healing my soul. 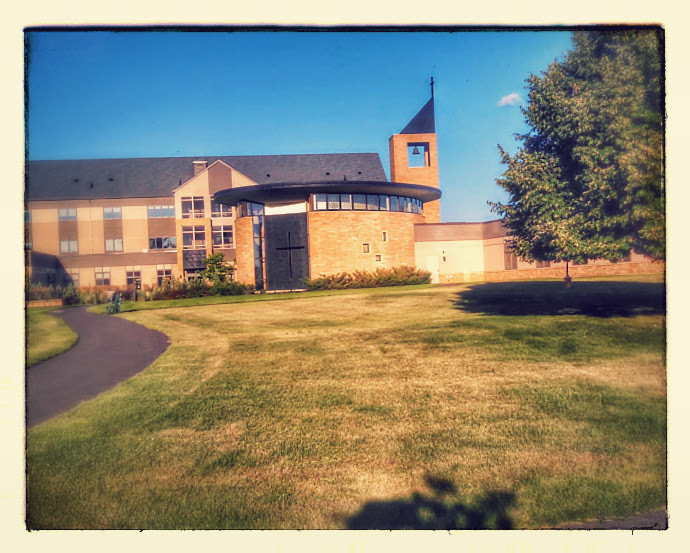 I just returned from a five-day silent retreat at the St. Paul Monastery. I practiced Lectio Devina (a form of prayerful reading and conversation). 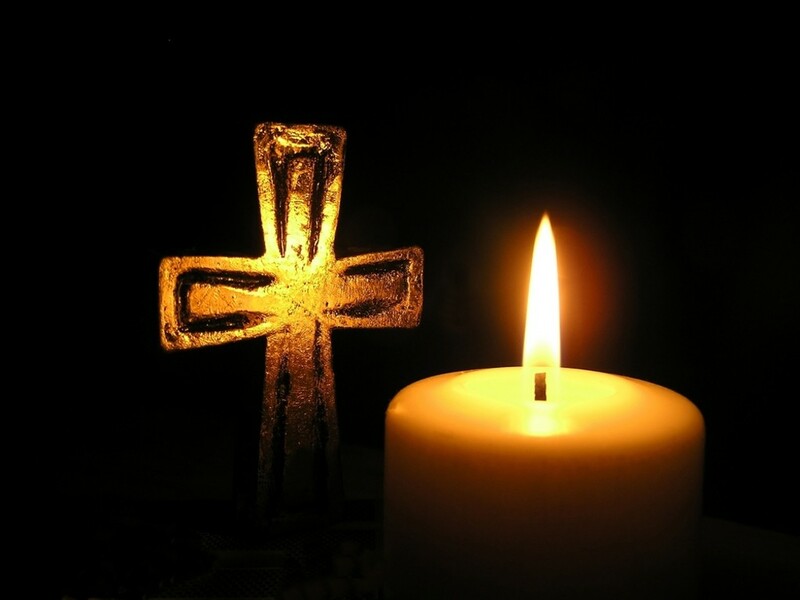 I was familiar with the practice – we use a form of it during our staff meetings at Resurrection – yet the monastic practice strengthened my love of God and God’s Word. However the most profound part of the week was the practice of Centering Prayer. Each morning at 7 am we sat together for an hour simply breathing and praying our holy word. We repeated it again at 10 and at 3. Too many it sounds incredibly boring. For me, it was drinking from the river of the water of life (Revelation 22:1). It was simply resting or floating in God’s gracious love. Emptying the mind so God’s love could fill it. Not just thinking about God’s love, but actually resting in it. Oh, my mind fought the emptiness. My thoughts and feelings would race from one idea to the next. The river seemed to be covered with all kinds of flotsam and debris. “What is happening at church?” “Why did I say that to her?” “What will we have for lunch.” This would happen hundreds of time during the quiet. Each time I caught the thought skipping across the surface, I let it go and return to my breath and my word. To simply BE in God. The real enemies of our life are the “oughts” and the “ifs.” They pull us backward into the unalterable past and forward into the unpredictable future. But real life takes place in the here and the now. God is a God of the present. God is always in the moment, be that moment hard or easy, joyful or painful. When Jesus spoke about God, he always spoke about God as being where and when we are. “When you see me, you see God. When you hear me you hear God.” God is not someone who was or will be, but the One who is, and who is for me in the present moment. That’s why Jesus came to wipe away the burden of the past and the worries for the future. He wants us to discover God right where we are, here and now. Centering prayer is a form of mindfulness practice, living in the current moment. I discovered my real need for this last summer when I was backpacking on the Pacific Crest Trail. I had looked forward to the trip for months and was in absolutely beautiful alpine country, yet my mind kept racing back to worries in Minnesota or to past actions that I regretted or wished I could change. Here I was in the place I wanted to be, and my mind could not stay there! I knew I needed help. This past spring I took Mindfulness Based Stress Reduction class which is a secular form of Buddhist meditation practices. It was incredibly helpful. The Centering Prayer has similarities to meditation, yet centers the practice in the love of God in Christ Jesus. That has been healing. Now next week, I head back out to Washington state to do another section of the PCT. I will continue my practice of Centering Prayer and Lectio Devina. I trust that my mind will be able to stay on the trail with my body this year. How does prayer touch your life? 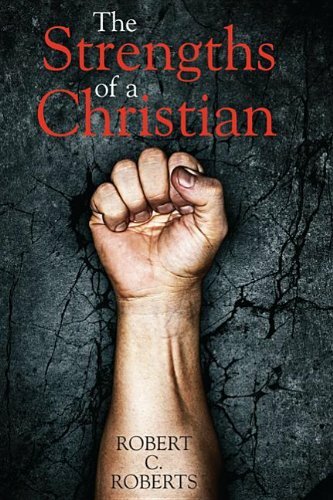 This entry was posted in Bible, Prayer, Uncategorized and tagged centering prayer, healing, Lectio Devina, meditation, Mindfulness on August 15, 2014 by Pastor John Keller. This morning I lead a class on prayer and one of the prayer exercises was a guided meditation, based on Psalm 46:10, “Be still and know that I am God.” One method that has helped me enter into silent meditation is to take an imaginary trip to a favorite place that emotes peace. Many people (especially during a Minnesota winter) might choose a tropical beach with warm breezes and rhythmic surf. Or a beautiful garden that is under a brilliant blue sky and filled with fragrant blooms. I choose the Cowlitz Ridge near Mt. Rainier. I hiked the ridge once, nearly forty years ago. The week before I left for my freshman year of college, my friend Marv and I decided on one last hike together. 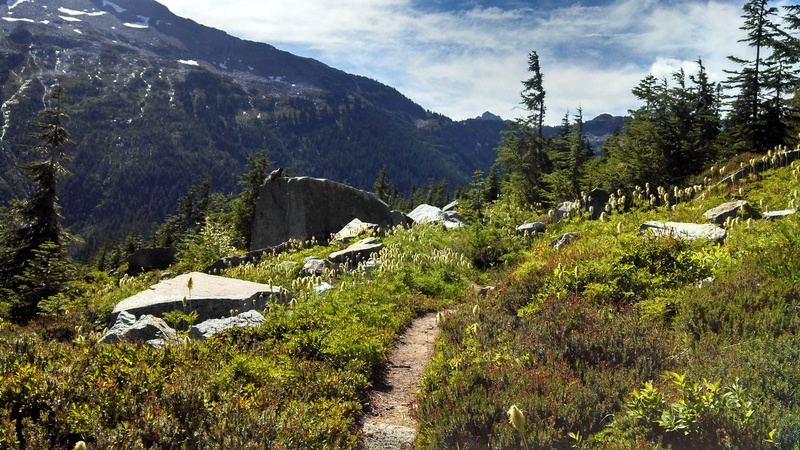 We picked a three-day trip along the Wonderland trail which circles Mt. Rainier. At first we climbed the steep switchbacks up out of the dark forested river canyon. As we near the top of the ridge we stepped out of the dark forest into brilliant sunshine and a spectacular view of Mt. Rainier. We camped in that meadow for two nights, soaking up the beauty and wonder of that ridge. Now whenever I want a special time of prayer, I go on an imaginary journey to that same spot. The only difference is that I take the imaginary trip with Jesus as my guide and friend. For many reason, I find rest, comfort, strength, hope in visualizing him there with me. As I meditate a deep abiding peace grows up around me. I realize that I could imagine Jesus with me in other locations, but that spot has become a very holy spot. I sometimes wonder if I will ever make the hike back to Cowlitz Ridge. I might, but it is not essential to my spiritual life. The essential part remains Jesus who is my guide and source of peace and joy wherever I am. Has guided meditation helped you in your spiritual journey? Where do you find God’s peace? This entry was posted in Body Mind Spirit, Holy Spirit, Jesus, mental exercise, Physical Exercise, Prayer, spiritual exercise, trust and tagged hiking, imagination, meditation, Mount Rainier, peace, Psalm 46 on February 5, 2011 by Pastor John Keller.